Whether you’re looking for an elegant side or a quick weeknight dish to round out a meal, this couscous salad is your answer. Seriously simple to prepare, the unexpected flavors meld together as sweet and savory intermingle. Don’t let anyone tell you they don’t like dates until they’ve tried them in this salad. They lend a hint of honey-caramel sweetness and just the right touch of chewy texture as they play with the pillowy couscous and herbaceous greens. 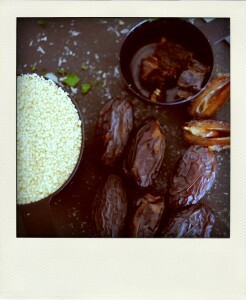 The dates are what elevate this from a standard couscous salad to one worth writing about. Beyond the non-negotiable dates, everything else about this dish is adjustable. Even the amount of dates used can be changed. 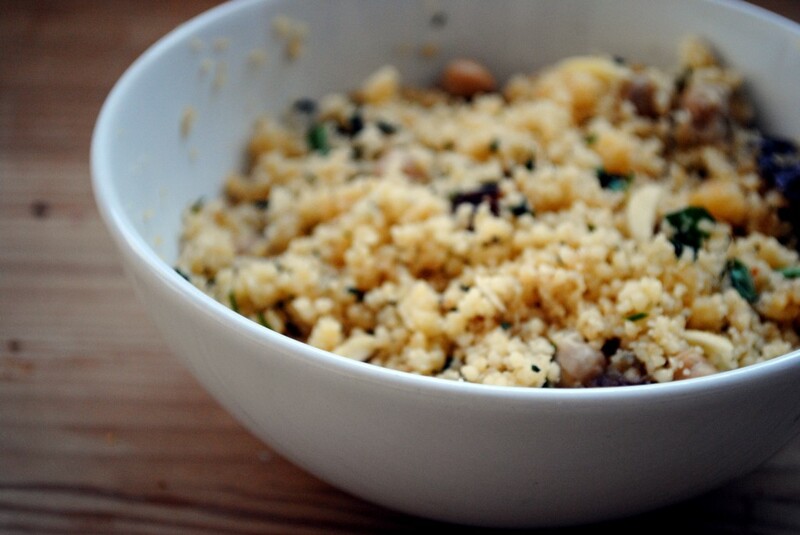 Scale the amount of couscous up or down and figure the rest out by taste. Play with the spices. Use more cilantro and less lemon, or vice versa. You can even leave the chickpeas out, though I don’t recommend it. I completely forgot to add the green onions that were supposed to be there, and I never noticed. 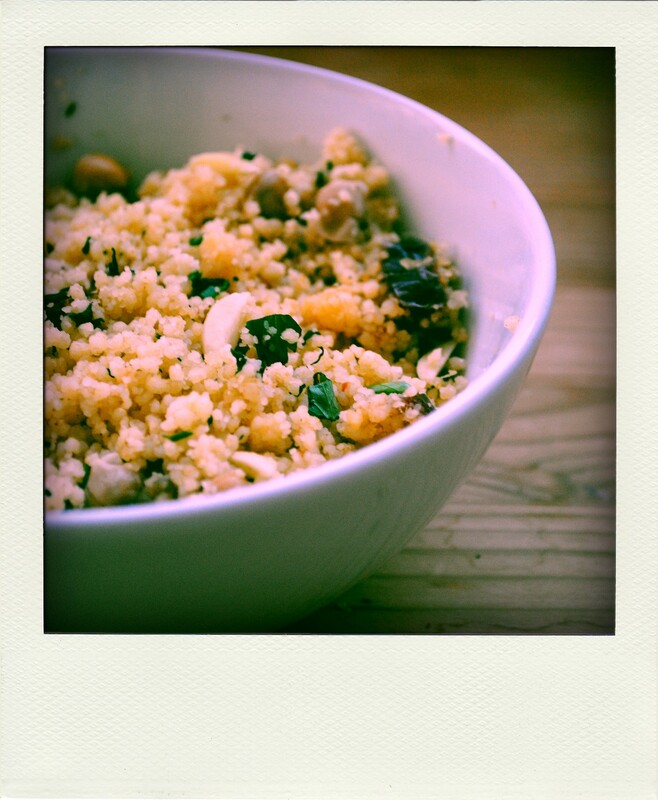 Ideal for a dinner party or any time you’ve got multiple dishes going at once (particularly helpful when you only have two working burners), this couscous is as good cold the next day as freshly made. And it goes with just about everything. If you manage to have leftovers, try tossing them with arugula and olive oil for a light but filling lunch. Note: If you’re using regular boxed couscous in the US or elsewhere, follow the instructions on the back of the box. The couscous we have here is far less dry and requires far less liquid; too much and it becomes mushy. The measurements below were figured out by trial and error and produce a lot of couscous, but it’s cooked just right. Put the vegetable broth, water, and butter (if using) in a large pot over medium heat and bring to a boil. Add the couscous, stir, cover, and remove from the heat. Allow to sit undisturbed for at least five minutes. Check to see if it has absorbed the water and fluff with a fork. 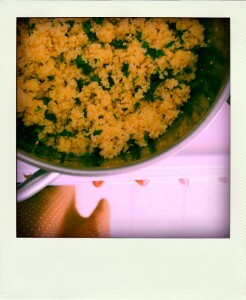 Add the remaining ingredients into the couscous and gently stir to combine. Add more dates, cilantro, lemon juice, spices, or salt if desired. Let stand at room temperature for at least one hour, or refrigerate overnight and bring to room temperature before serving. I made this yesterday and was so happy with the results. I’ll definitely be making it again soon! I usually fond couscous to be too dry or bland, but this combination of ingredients is just perfect! Thanks! So happy to hear it! Thanks for sharing your success!